Finally, there is an Aloe Vera drink that tastes fantastic and doesn’t need any refrigeration. This post is brought to you by NuAloe, but all opinions remain 100% my own. 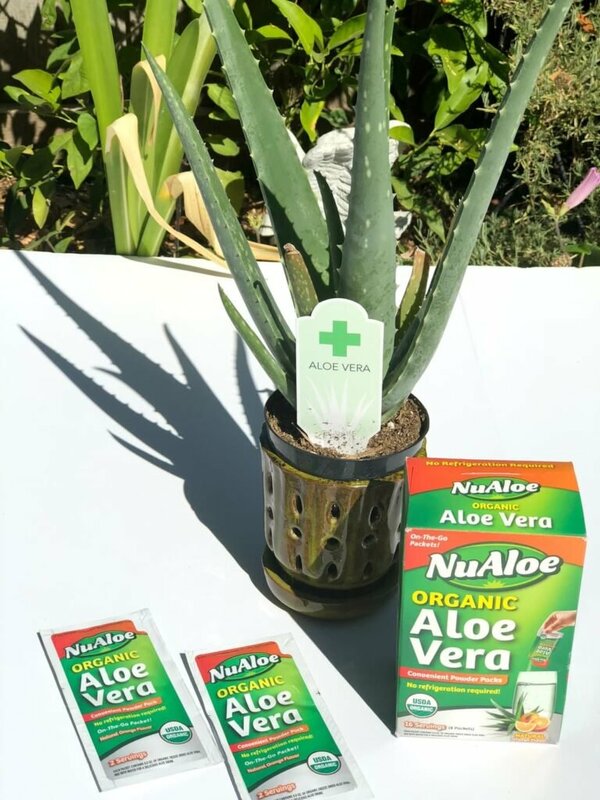 If you have been curious about trying Aloe Vera juice or if you have been buying the big gallons of it and refrigerating it, you will want to try NuAloe. I’ve tried drinking Aloe Vera before – have you? The taste was…well…something to be acquired. And it needed refrigeration, so I couldn’t take it with me. 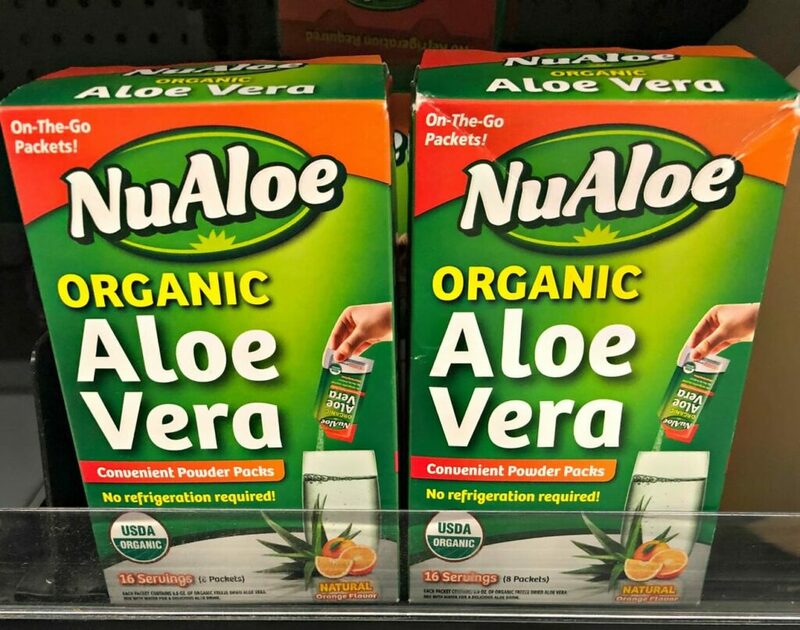 Now, NuAloe created an Aloe Vera drink that comes in convenient powder packs. You take these little packs with you everywhere – even on the airplane! And you can mix up delicious tasting Aloe Vera drinks wherever you go. I found mine at my local Walmart Supercenter. How Does NuAloe Aloe Vera Drink Taste? It has a crisp orange flavor that reminds me of a slightly different type of orange juice. I find it very refreshing. I’m not a doctor – I’m someone that tried a delicious drink that I think you’ll want to check out. So please, talk to your doctor about any questions you have regarding Aloe Vera drink benefits. Check with your health care provider to make sure there are no drug interactions with any medications you may be taking. If you are pregnant, you should not drink aloe vera juice. This product is not intended to diagnose, treat, cure, or prevent any disease. 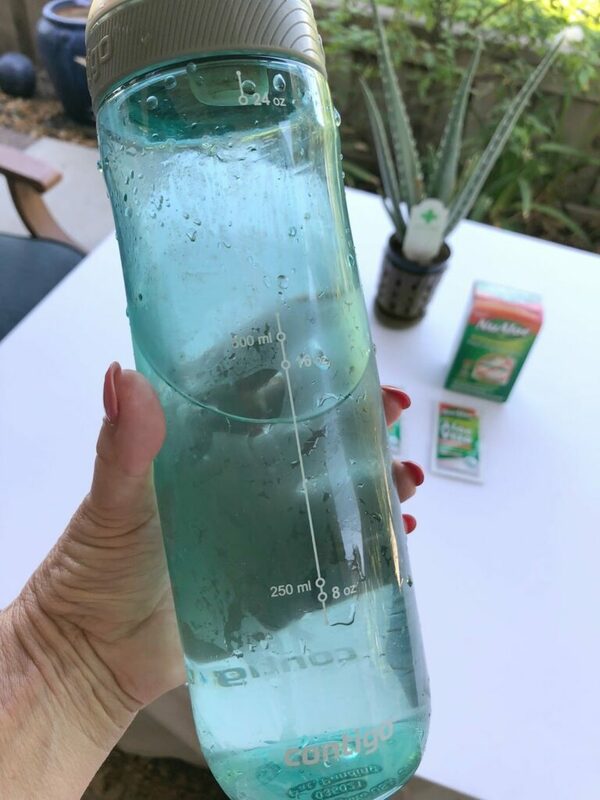 There are so many reasons NuAloe is my new favorite way to drink Aloe Vera. As I mentioned earlier, the fact that they are packets of powder mean I don’t have to refrigerate bottles of drinks. Each packet contains up to 2 servings of Aloe. To use them, just pour one packet into an 8-ounce glass of water or bottle of water and stir or shake. Then, enjoy the delicious drink! NuAloe is made with 100% USDA Certified Organic Aloe Vera. So I know that what I am drinking is pure. I am also a huge fan of the low-calorie count in these packets – only 16 calories per serving. 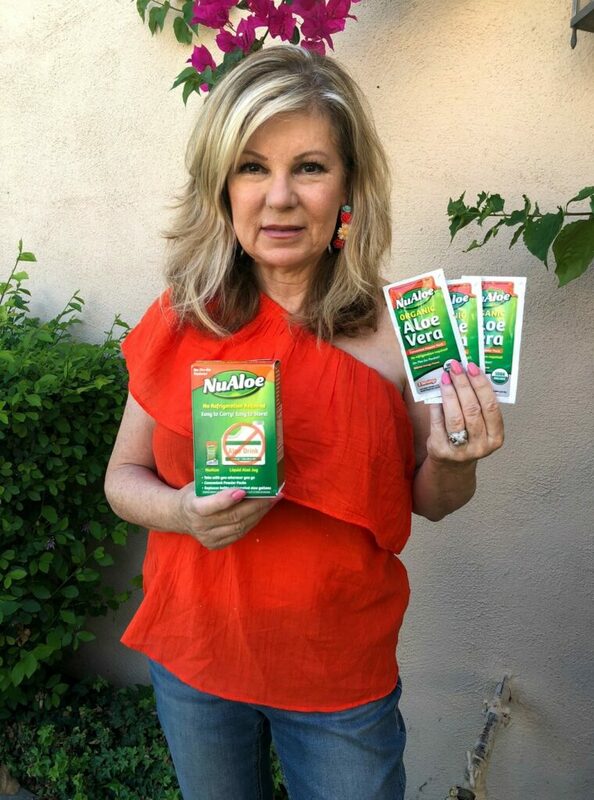 Try NuAloe for yourself with a coupon! Print the one below and save $2.00. These coupons are redeemable at Walmart Supercenters. Just click the print button below. Open your Valpak envelope when it comes in your mailbox and you’ll find $2 off NuAloe coupon. Plus you can be an instant winner. Good luck! What Do You Think of Aloe Vera Juice? Have you ever tried drinking Aloe Vera juice? What did you think – how did it make you feel? Try this out and see what you think, it tastes refreshing!